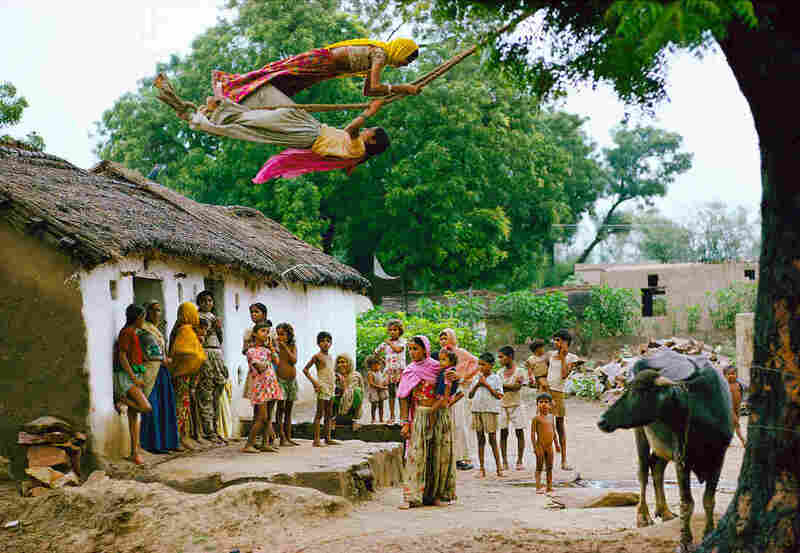 Raghubir Singh Pioneered The Use Of Color Photography To Show The Essence Of India : Goats and Soda Black and white pictures were popular when Raghubir Singh started out as a photographer. But he insisted on color. A new retrospective shows his ground-breaking work. "The fundamental condition of the West is one of guilt, linked to death — from which black is inseparable," he wrote in his 1998 book River of Color. "The fundamental condition of India, however, is the cycle of rebirth, in which color is not just an essential element but also a deep inner source." A wedding party dressed in shades of red, a roadside vendor selling oranges out of fuchsia baskets, terra cotta landscapes and green monsoon skies: Singh's work captures the vibrancy of everyday life in India. Singh, who came from a wealthy family in Rajasthan, India, never studied photography formally. But soon after his older brother gifted 14-year-old Singh his first camera, he became enamored with the work of French street photographer Henri Cartier-Bresson. 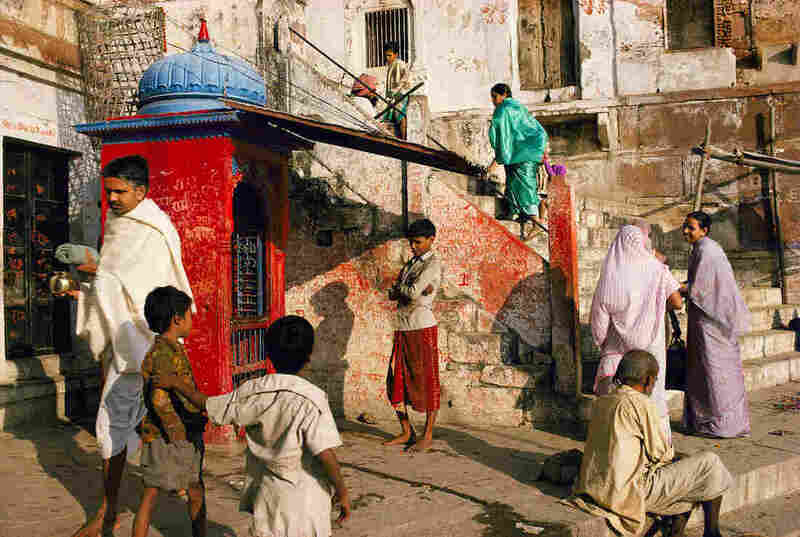 Singh's parents owned a copy of Cartier-Bresson's book Beautiful Jaipur — which became a sort of textbook for him. After dropping out of college, he began working as a photojournalist for American publications, including National Geographic and The New York Times. And there was a big perk: free access to color film. His work exposed Westerners to the real India, says Shivji Joshi, a photographer and retired professor of philosophy at the University of Jodhpur. "Photos taken by Raghubir Singh showed to foreigners — or rather everyone — that India is more than a land of snake-charmers," Joshi says. Although Singh lived in Hong Kong, Paris, London and New York, most of his work featured his native India. Joshi — who like Singh is from Rajasthan — says Singh's work captures a "love and sense of respect for his homeland." "Modernism on the Ganges," a retrospective of Singh's work, is on display at the Met Breuer in New York through Jan. 2, after which it will travel to the Museum of Fine Arts, Houston, and the Royal Ontario Museum in Toronto. We spoke to Joshi about why Singh is still relevant today. The interview has been edited for length and clarity. Singh died in 1999 of a heart attack when he was just 56. Why is it important to remember him now? His work is celebrated by art lovers and critics alike due to its authenticity, simplicity and candidness. He shows the complexities of India — its rich culture, its humanitarian and spiritual values. He showed a land of magnificent monuments and also a land of simple, warmhearted people. And what's remarkable about all his images is that they are incredibly rich in color. Singh opted to use color for his photography at the time when black and white photography was very popular and more respected. And I do understand his choice because color plays a key role in Indian life — we have colorful religious festivals or celebrations, we have colorful costumes, colorfully decorated and painted walls of houses — even colorful rangolis [colorful patterns] at the doorways of houses. So only color photography would be suitable for recording Indian life. 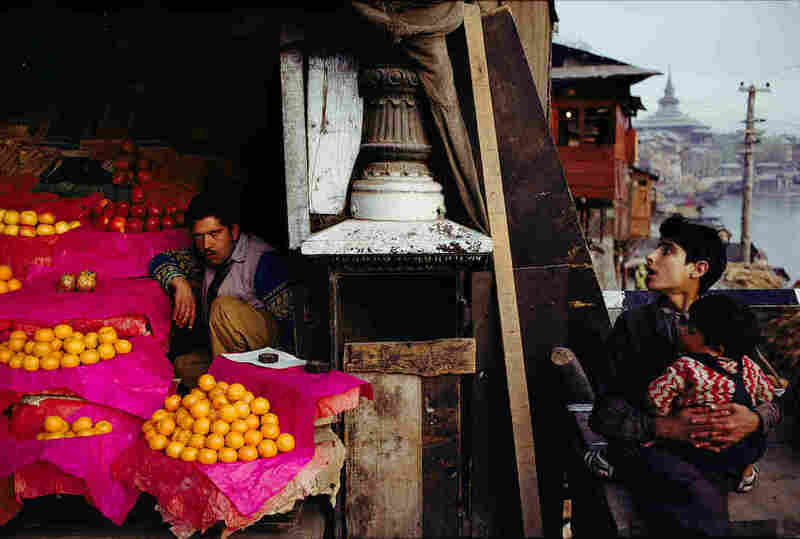 Take the photo of the fruit seller. His use of color is totally justified with this picture — it's divided into two frames to show that the delicious oranges and apples are out of reach for the boy — who probably cannot afford them. Black and white photography could not have rendered the precise differences in shades of yellow and red. 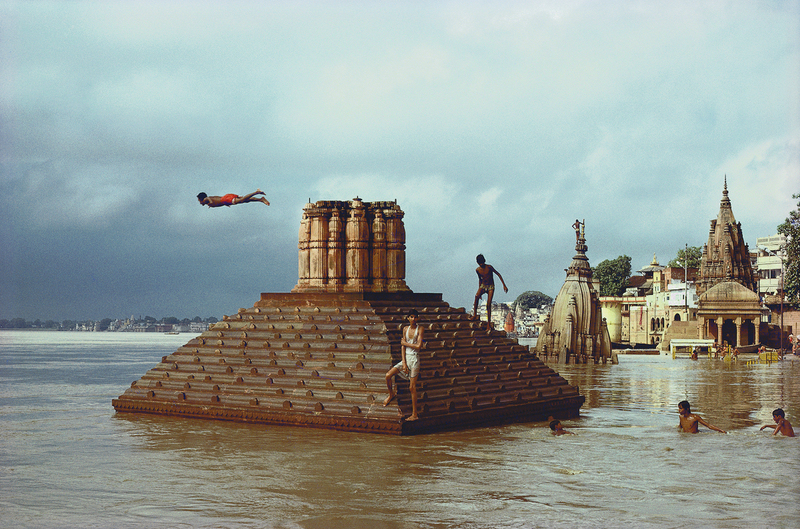 Man diving, Ganges floods, Benares, Uttar Pradesh, 1985. You can almost taste those apples! Which of his images do you like the best? The photo of the man diving is my favorite image and one of Raghubir's best. This is an example of him cleverly catching the decisive moment — the diver suspended horizontally in the air, parallel to the surface of the river. 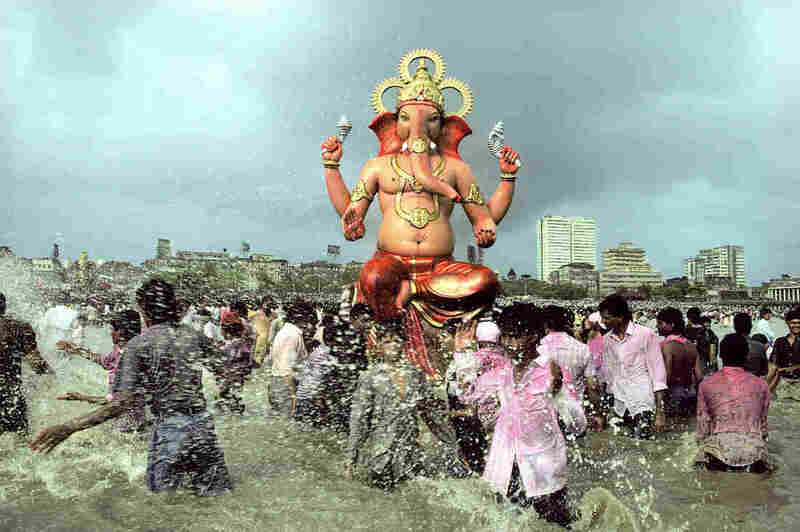 It is as if he is bowing to the sacred river. 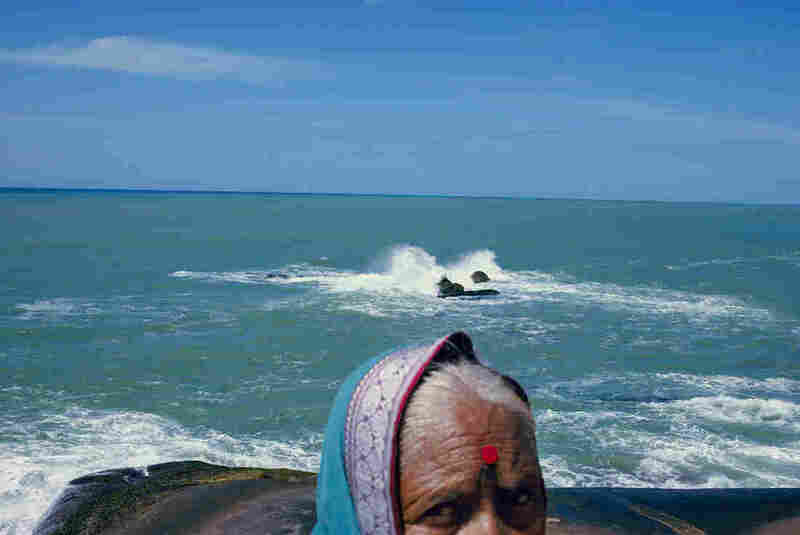 For Raghubir the Ganges was not just a river: She carried the rich culture of India with her streams. He seems to often capture people mid-action — there's the diver but also the girls on a swing. In that image he really caught the right moment — the swing at its full height — to capture the enthusiasm and the festive mood. This picture was taken during Teej -- a festival during which girls and women in Rajasthan rejoice the coming of the monsoon. 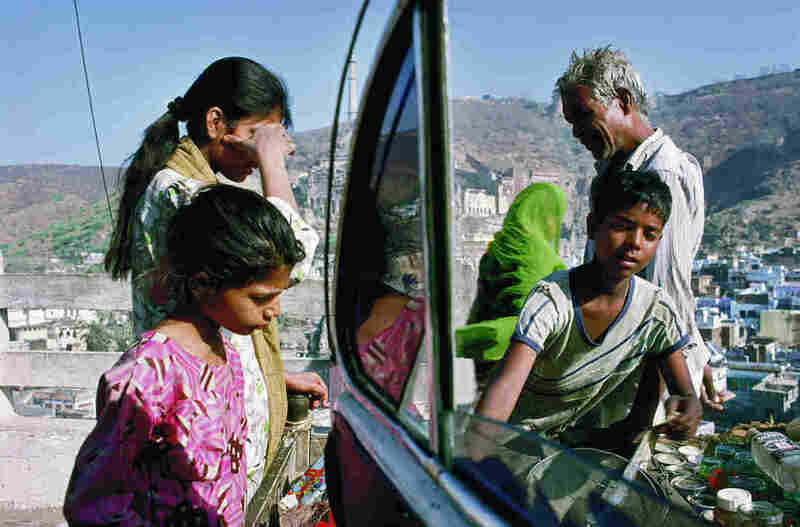 What can young photographers learn from Singh? Everyone should develop his or her own unique approach toward art whether it is photography or any other art form. Never follow others. A previous version of this story incorrectly stated that color film was not available in India until 1991. Color film was sold in India prior to that date.